Volkmann Inert Explosion-proof Vacuum Conveyors (INEX) provide secure feeding of solids into critical process areas, such as powder transfer into reactors and stirring vessels often found in the chemical and pharmaceutical industries. 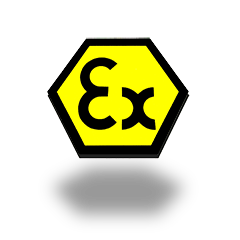 INEX systems can be used within all gas and dust explosion zones. Initially material is sucked into the separator of the INEX system. Before the material is released, the transportation line is closed and the INEX is set under vacuum. Then, the material inside the INEX is fluidized with inert gas (e.g. nitrogen) from the lowest point permeating the powder before finally being released through the systems discharge valve. The concentration of oxygen during discharge typically is below 7% or limited to such a value as to not compromise the inert status of the system to be fed. For the conveying of hybrid mixtures, e.g. the transfer of powders containing solvents, the entire vacuum transportation process buy medicine online with an INEX Vacuum Conveying system takes place under inert atmosphere. are easy to control and operate. Volkmann provides extensive expertise and support for all hazardous applications. 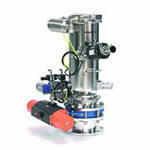 Indeed, all INEX systems have been designed for the specific demands of hazardous applications. All new VOLKMANN Vacuum Conveyors INEX-VS, INEX-PPC and INEX-“pressure rated” Series are ATEX certified in accordance with directive 94/9/EG for the installation inside Zones 0, 1, 2, 21, and 22. EC-type examination certificate No. TÜV 03 ATEX 7017 X. For safe operation special terms/conditions apply.